This application has been created by the team at Qdos.me Limited. We are passionate about making apps for young individuals, supporting students throught their student years and after. Also, if you have any new ideas make sure you let us know. We listen and make our products better for our users. We collect information from you when you subscribe to a newsletter, fill out a form or enter information on our site. When we ask you to provide this information it will only be used in accordance with this privacy statement. To send periodic emails regarding the daily blog, features or marketing messages. You can may delete cookies and other similar tools from your iOS device by deleting the App. Occasionally, at our discretion, we may include or offer third-party products or services on our website. These third-party sites have separate and independent privacy policies. We therefore have no responsibility or liability for the content and activities of these linked sites. Nonetheless, we seek to protect the integrity of our site and we would not work with a business that knowingly undermined our business values. We welcome any feedback about other sites that we may use. This App is intended for use by those aged eighteen years and over. It is intended for personal information use only. 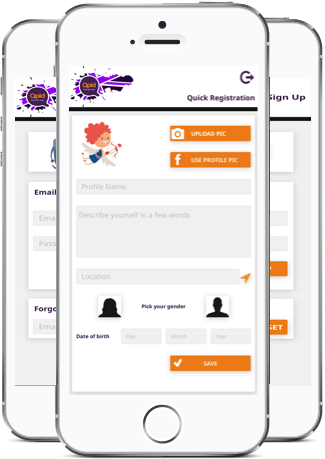 If a person aged 13 to 17 wishes to use the app they should obtain parental or a guardian's consent to use the App. The App does not collect data from those under the age of 13 and Qdos Student LTD will delete such information if this occurs. The UK Data Protection Act 1998 gives you the right to access information held about you. Your right of access can be exercised in accordance with the Act. Any access request may be subject to a fee of £10 to meet our costs in providing you with details of the information that we hold about you. If at any time you would like to unsubscribe from receiving future emails, you can email us at info@qpid.online and we will promptly remove you from ALL correspondence. If you would like to unlock access to Qup and Chat, we offer auto-renewing monthly subscription membership for £2.99 per month. If you subscribe, payment will be charged to your iTunes Account at confirmation of purchase and your Qpid subscription will automatically renew unless auto-renew is turned off at least 24 hours before the end of the current period. Your credit card will be charged for renewal through your iTunes account within 24-hours prior to the end of the current period. You can turn off an auto-renewing subscription at any time from your iTunes Account Settings but refunds will not be issued for any unused portion of the term.